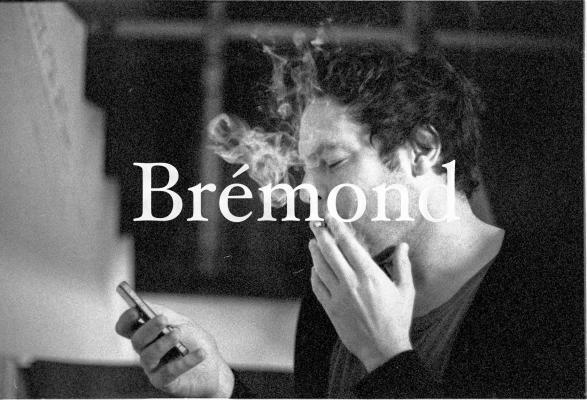 Originally from the South of France, Brémond moved to London in 2006 where he developed his style in music and literature. In 2012, he released, with Entropic Production record label from Paris, the EP 'Pedestrian' and self-published, in 2013, the book 'Running is Flying Intermittently' . Since then, Brémond has been working on new music to bring his quirky view on East London, captured in the book, onto the stage. Performing as a trio with Jules Rosset on the bass, keyboard and machines and David Mullen on the soprano and tenor saxophones, Brémond tells his story, or at least parts of the one he has in Hackney with singing or spoken words. The song 'Le Shampoo' is until today, his most popular piece of music that has been released.